The UFC hasn’t announced Joanna Jedrzejczyk’s next fight, but that could change very soon based on the champ’s Instagram. 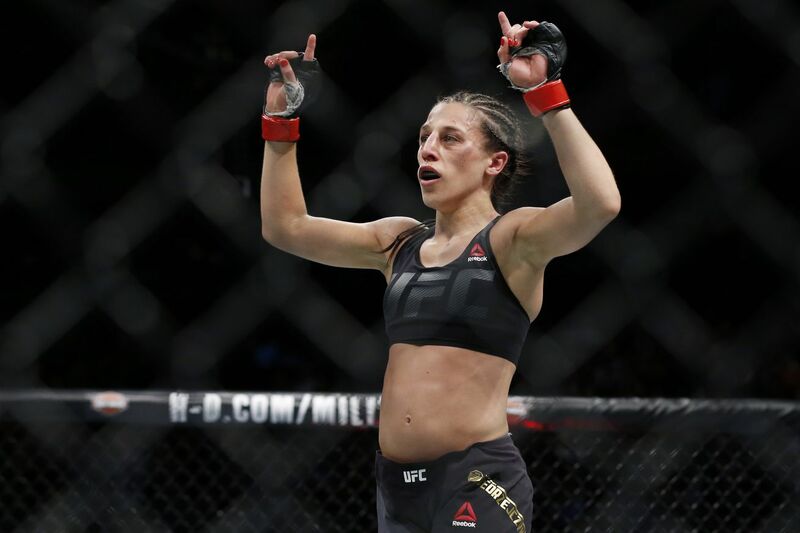 Does Joanna Jedrzejczyk know something we don’t know? The UFC women’s strawweight champion announced on her Instagram last night that she’s back in the United States and training at American Top Team where he’s preparing to begin her next fight camp. The only problem? She doesn’t have an opponent yet … at least not officially. But we assume that could change very soon. Jedrzejczyk’s last fight was at UFC 205 where she beat Karolina Kowalkiewicz soundly over five rounds of fighting. While Kowalkiewicz managed to put Joanna in trouble once or twice during the fight, we doubt it was enough to earn her an immediate rematch. She’s also beaten the other top fighters in the division like Claudia Gadelha and Carla Esparza, meaning the UFC will have to get creative with their matchmaking to put something compelling. If I had to guess, I’m thinking Michelle ‘The Karate Hottie’ Waterson is the most likely candidate. Her #7 spot in the rankings is due more to inactivity than anything else, and she cleaned Paige VanZant’s clock in a high profile widely viewed fight on FOX back in December. In a perfect world, she would have gotten an extra fight or two in before battling for the belt. But as UFC 208 has shown us, the UFC isn’t exactly waiting for the stars to align perfectly before booking title fights these days. It’s certainly a fight I’d like to see, regardless. How about you?